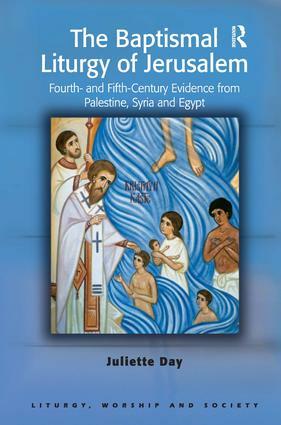 Contents: Preface; Comparing liturgies; The Palestinian sources; Syria and Egypt; The pre-immersion rituals; The immersion; The post-immersion rituals; Conclusion; Appendix; Bibliography; Index. Dr Juliette Day formerly Director of Open Learning Theology and lectures in Liturgical Studies and Patristics at the University of Wales - Lampeter, UK. Her particular research and publishing interests are in catechesis and initiation in the Eastern churches of the fourth and fifty centuries, and she has recently published a study of the Mystagogical homily by Proclus, fifth-century bishop of Constantinople.